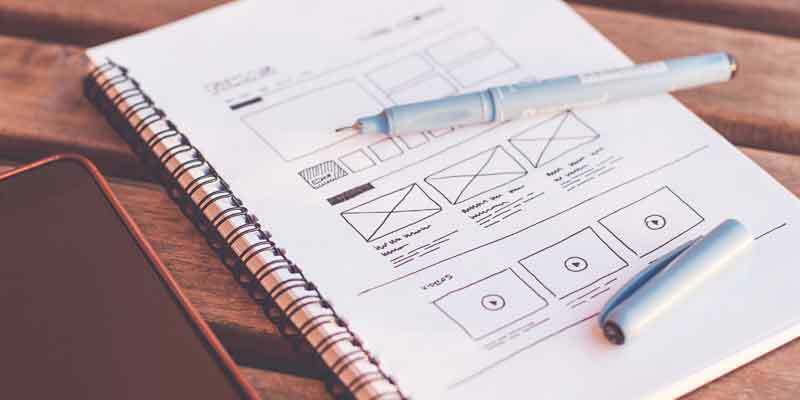 Design is s complex process that is implemented in different disciplines with many factors in mind; one of these factors is the target of the design process. Generally, there are three design process paradigms based on this target; technology-driven design, human-centered design and environmentally sustainable design. These three paradigms are used to define the design of a product or service. Based on this categorization, human centered design can be defined as the process that places the human needs and limitations in a higher priority compared with other targets during the design thinking and production differential stages. During this process, the designer is required not only to analyze and come up with solution for existing problems, but test and validate the designed products or service to achieve planned targets in the real world. This process leads to build what is known as the empathic design. The term human-centered design is based on the term “user-centered design” which is originated in Donald Norman’s research laboratory at the University of California San Diego in the 1980s. And it was introduced in his co-athored book, User-Centered System Design: New Perspectives on Human-Computer Interaction. Along with the emerging awareness of human centered design, the paradigm extends its function to cover a wide range of design disciplines such as interactive design, user experience, usability and empathic design…etc. During the last years, many examples provided proof of success by utilizing human centered design as a part of the organization strategy. Companies such as IKEA, Lego, Google, Facebook and Apple shifted their direction to focus on the emotional relation between its products and the consumer instead of focusing on the technology. Companies such as Apple use the human centered design characteristics to examine the products and if they are expected to meet with consumer needs and achieve market success. Who is the consumer? Does the design reflect the user characteristics? What are the consumer’s goals of using the product? What is the consumer experience about the product? What are the goals of using this specific product or service? When and how does the consumer interact with the product design? How do the consumers think about the product or the design? Why does the consumer use this product or design? 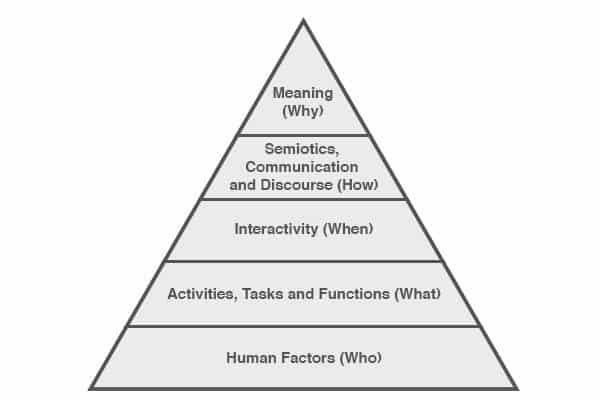 In addition to the above questions, human centered design is based on the rhetorical situations; audience, purpose and context. These situations form the product or service design. The audience refers o the consumer or the user who is going to use the product or the service, the purpose refers to the consumer’s target of using the product and the context refers to the other extrinsic factors that may affect user interaction with the product. Who does what kind of job? This is the first stage where the designers understand and specify the context of using the product or the service from the consumer point of view. What should be done, and how? This stage specifies the consumer requirements and needs from the product or service. How should they be achieved? The product design solutions that will be implemented in the product development process. Have they been solved? Here is the evaluation for the design and comparing it with the initial requirements. The above steps repeat on a circular basis until the goals are met. Considering the above steps in the context of the design process can help achieving the goals of imlementing a human centered design approach. According to the above, the human centered design process flow between three main phases; research, prototype, and implement. In the research phase, the team tends to learn about about the problem in hand and the users in order to build a clearer knowledge about the problem. Once the problem is clearly defined and the information is analyzed, the team can move to turn the suggested solutions into prototypes that can be tested and iterated. 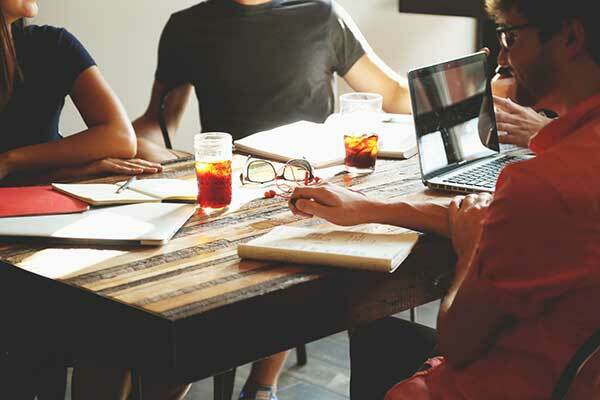 After testing and improving the prototype, the team can then implement the solution through an action plan that the team can follow during the product development process. In order to build a human centered design approach, a number of tools and methods are used before and during the research phase. These tools are crucial to build a clear understanding to the user behavior, which can be used to suggested solutions for the problem in hand. 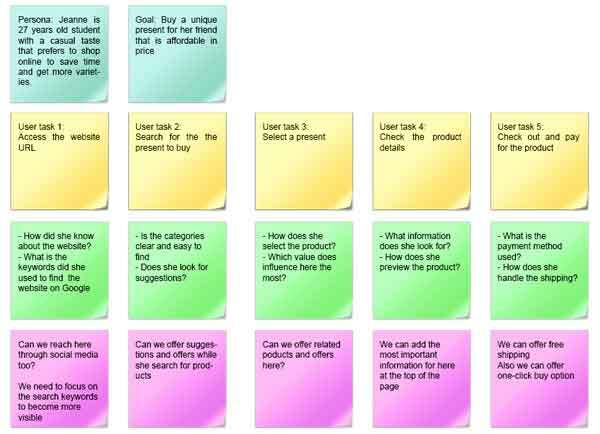 These tools include but not limited to persona, scenario, use cases, and consumer journey mapping. The persona refers to creating fictional character that has all the characteristics of the consumer or the user. These characteristics include the demographic information and other information required to design the product or service. The persona is determined based on number of research tools such as field research, user groups, questionnaires and interviews. Once the persona is defined, it is used to guide the production process. The persona is one of the commonly used tools in the marketing research and it is usually defined during the research and planning stage. 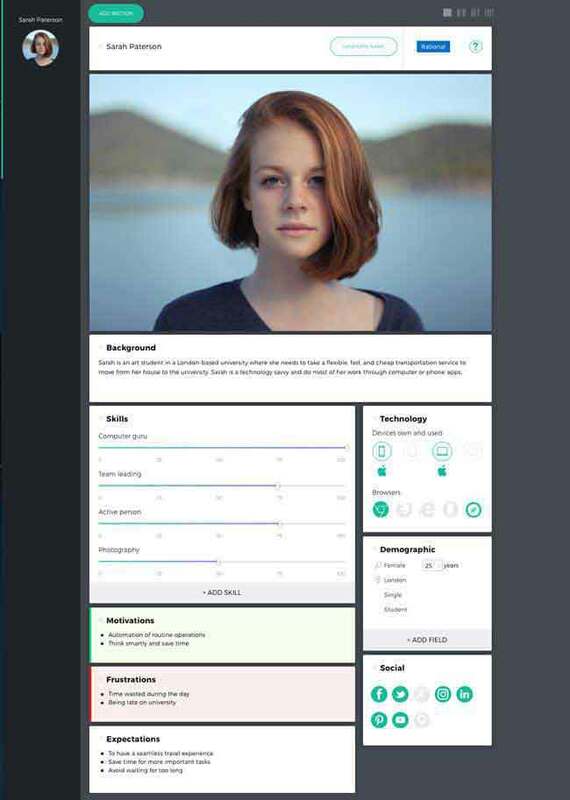 An example of persona is creating a character, such as “Mike” who has the same demographic information such as the age, location and education of the target consumer. Then, the design is built based on this imaginary character. Example for a scenario of one goal. Unlike the scenario, use cases are actually events in real world that the user or the consumer interacts with the world with. 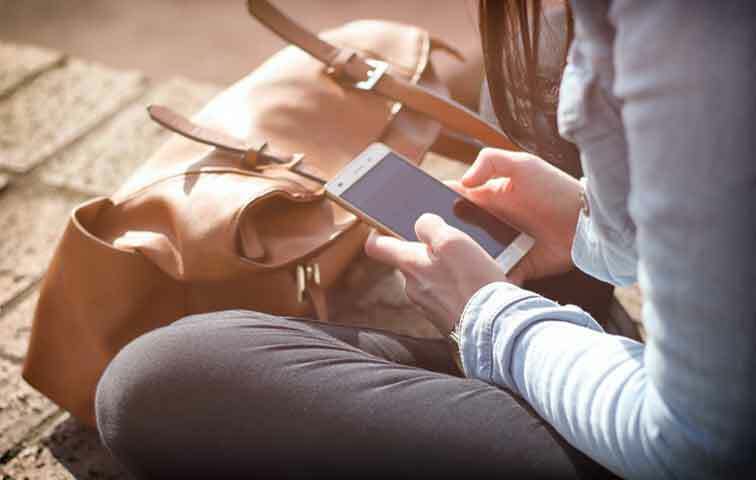 These use cases are simple actions in a short period of time to analyze how the user will interact with the world around. The use cases are presented in the form of a table with two columns, the first one is the actor, which represents the consumer, and the second one is the world. The first column includes the consumer actions in the form of steps. The second column includes the outer reaction to the actor behavior. For example, the actor can prepare specific documents and the world reacts by providing these documents. All the three tools work altogether to gather a better understanding for the consumer and the product and can solve the consumer existing problems. These tools ensure the human centered design approach is achieved during the follower production stage. The customer journey maps are a visual diagram that tells the story of your customers’ experience when using a product, service or visits a retail store. it helps us to identify the consumers’ goals, the steps they made to access the service, the touch point with the service, and their emotional experience at each stage of their journey. You can use our Visual Guide to the Customer Journey Mapping to find a step-by-step guide to apply the consumer journey maps. Design is defined in the production process based on these paradigms; technology-driven design, human centered design and environmentally sustainable design. Each of these paradigms focus on specific factors during the design process. The human centered design paradigm places the consumer in the highest priority compared with the other factors that affect the product development process. Human centered design approaches have a number of characteristics that can be achieved by having a deeper understanding of the consumer and how the product is used to solve existing or future problems. A number of questions should be asked in order to identify if the design meets with the human centered design discipline. While there are many models for the design process, specific stages should be considered during the human centered design development process. These stages are based on the knowledge acquired during the research and planning stage. During this stage, a number of tools can be used to analyze the consumer behavior and evaluate the design process such as the persona, scenario and use cases. The human centered design process requires intensive research and understanding to the consumer behavior. However, the results are rewarding and achieve product success in the market. Giacomin, J. (2014) What Is Human Centred Design?. The Design Journal17.4 (2014): 606-623. 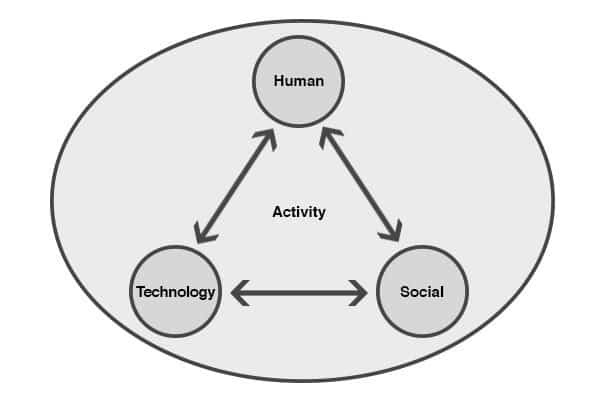 Takeshi, H. & Fukuzumi, S. (2008) Applying human-centered design process to SystemDirector Enterprise development methodology. NEC Technical Journal 3.2 (2008): 12-16. Design Kit by IDEO – more than 50 design methods, videos and full case studies.